You cannot be serious – Red Len at his reddest! The forces lined up against Jeremy Corbyn are a combination of mass media, Tory, TU bureaucrats and right Labour. Of course bourgeois society as a whole attacked him in alliance with the Blairites and other rights as soon as he was elected. But what of the trade union leaders? On Sunday 27 September the Trident vote was blocked at the Labour party conference. On Monday the Morning Star (MS) headlined ‘Dismay as Trident vote is blocked’ and informed is that “the opposition of two major trade unions led to fears that an anti-nuclear motion would be lost”. The unions and their leaders were unnamed. A double page spread in the same issue on pages 16 and 17 was given over to Sir Paul Kenny to explain how he and the GMB had always fought for workers’ rights, how he opposed EU and how the whole movement was going to fight the Trade Union Bill; he threatened dire consequences for the Tories; “If this Bill goes through, to block it you may see a level of disobedience we haven’t seen before. An explosion in unofficial stoppages… Would I go to prison? – wouldn’t hesitate. But you’d need more than four coppers to pick me up”. MS Editor Ben Chjacko did not press him with any ‘Hard Talk’ questions so we are left with the impression that this chap is a man of honour, a champion of workers’ rights and a fighter for the oppressed. Which was why he was knighted by a grateful establishment who recognised these as his strongest virtues, obviously. Then the Telegraph headlined on 30 September “Jeremy Corbyn faces shadow cabinet mutiny over Trident”. Corbyn had declared he would never launch a nuclear strike if he was prime minister. Home secretary Andy Burnham threatens to quit and defence secretary Maria Eagle declared Corby’s stance ‘unhelpful’, the Telegraph noted and the ever helpful Sir Paul felt obliged to wade in also “He’s got a choice to make in terms of whether he followed the defence policy of the country, or felt that he should resign. His integrity would drive his decision one way or another.” We might now begin to get some glimmer of understanding of why he became a “Sir”. Curiously the MS did not attribute to him his proper title and clearly did not know who the ‘major trade union’ leaders might be. The unnamed unions were the GMB and Unite, of course, as we all know. So whilst continuing to say he will oppose some of the rest of the Bill – rumour has it that Cameron is prepared to make some concessions elsewhere to get the main thrust of the attack through against liberal Tory objections on the grounds of civil liberties – McCluskey has also obviously conceded that every union member that does not vote is counted as a ‘no’ vote, a proposition that even Margaret Thatcher did not attempt at the height of her attacks on the trade unions. Thus he has stabbed the movement in the back; as the ‘left’ Red Len has delivered the ultimate act of class treachery, thus letting all the right trade union leaders like Kenny and Unison’s Dave Prentis off the hook. And they will not even go through the sham of the Special TUC Wembley Conference of 1982 where leader after leader promised to defy the Employment Act 1980 and some said, like Sir Paul, that they were prepared to go to jail. Needless to say they ran away for any serious opposition to that Bill as they are doing now. We waited with bated breath for the Morning Star to show us the way forward. 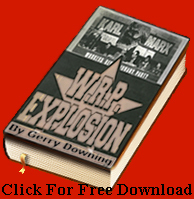 On Monday 5 October there was no mention whatsoever to the appalling act of class treachery. But on Tuesday the new line was up and running – Red Len had done a very clever thing! Outrageously that nasty Tory business secretary Sajid Javid has “slapped down a compromise (!!) over strike ballots yesterday, branding unions ‘bullies’. Javid had ‘slammed the door in the unions’ face by twice singling out Mr McCluskey for attack”. Who would have thought that the Tories would be so nasty to someone who had grovelingly offered to surrender to them? It may well be enough for him to join Sir Paul in the House of Lords because Javid has not rejected the offer at all, it is clear from the piece, he just could not stop himself from gloatingly contemptuously at the grovel. But the Star Comment of the same day clarifies their position even more. Javid “showed just how much respect he has for ordinary people when he responded to an offer from Unite to accept draconian new turnout thresholds imposed on strike ballots in return for secure workplace balloting.” If they are “draconian” why should we accept them at all? And this without even a fight? 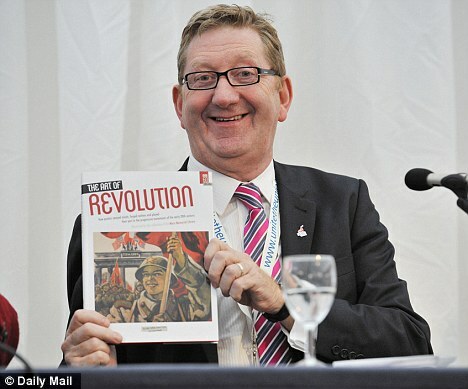 And did McCluskey have the endorsement of the Unite Executive to make this offer? What of the leading lefts, Martin Mayer, Sean McGovern et al who had chosen Jeremy Corbyn in preference to McCluskey’s preference Andy Burnham? The MS connections and their silence shows how left the United Left is in the face of this existential challenge to trade union organisation. Fortunately some in Unite like the Unite Scottish Rank and File not prepared to lie down on this. It really is time to organise a proper rank and file movement in Unite response countrywide against this, the Grass Roots Left will certainly cooperate in any way we can in achieving this. “It has been well documented in recent months that the Trade Union bill is the biggest attack on trade union members since the dark days of Thatcher. An ideological and vicious attempt to suppress the workers of this country from defending themselves from the excesses of capitalism that goes to the very heart of our human and civil rights. “My understanding is that Len McCluskey said much the same thing at a meeting of the National Executive recently, but there was little discussion and certainly no decision taken… on whose behalf is he speaking? Certainly not Unite members and certainly not the 100,000 people who marched outside the Tory party conference in Manchester. “Mr McCluskey’s letter to the prime minister and his nervous defence of what he had written, on the Andrew Marr show came as a surprise to most. It puts him at odds with the Labour Party leadership (for markedly different reasons than in the past), his trade union leader comrades and his union’s membership. “Ultimately the message that he has given out is that he is a Trade Union leader who is willing to do deals with the Tories and what else will he be willing to concede? That is what will come out of this. He has put himself and Unite at odds with everyone else opposed to this bill. He has weakened his own and Unite’s position and has made himself a laughing stock.